The Air EVO Paddle board is the latest lightweight design from RRD. 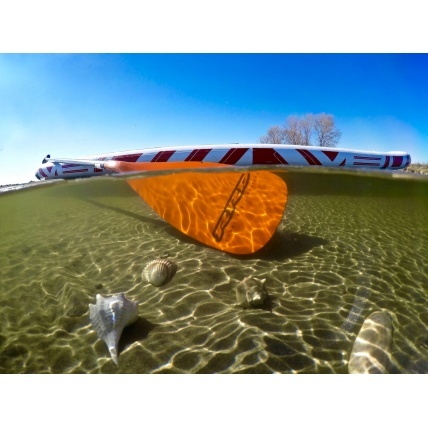 Save weight and cost but still great a performance paddle board. Currently come in package with Free Paddle and Leash. The Air EVO is a new paddle board to RRD's range for 2017. Based on market surveys they decided to develop and introduce a new paddle board to the collection. The Air EVO is more affordable then the other boards in the range but also has very good performance and is light weight. This is based off the basic design of the AirSUP but using new construction technology saves cost and also weight. 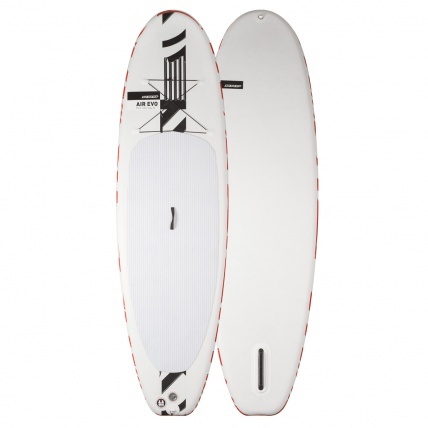 It is a perfect board for multiple users cruising the rivers and ripping up in the sea on small waves. It comes in three sizes also making it easy to choose and we are doing it in a package deal with the Start 3 Piece Paddle and Surf Leash so you have everything to get out and paddle straight out the box. 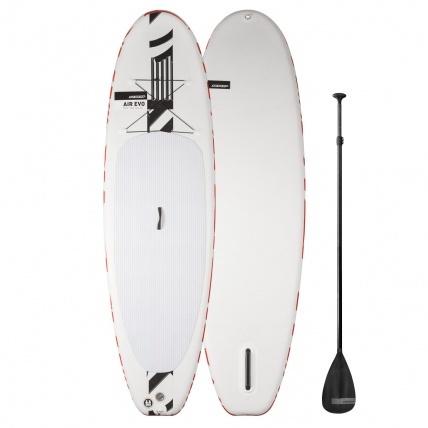 ATBShop RRD Evo Board Package Contains: Paddleboard, Bag, Pump, Repair Kit, Start Paddle 3 Piece Paddle and RRD Surf Leash. In honestly we were a bit suspicious of the performance of this board when we were first told the specs but after initial testing we were shocked at the performance. Although it is classed as a single skin board the way the skin is made and the shape gives it enough stiffness to perform great on the river and in the sea on small waves. The width of the board makes it super stable in the chop but still cuts through the water clean and smooth. The slightly stubby tail keeps it stable when you are back on the tail for pivots or surfing and the single plastic fin works great for tracking. The board is rated to pumping to 14psi which is stiff enough for river and some wave use. We have taken it a couple of PSI over 14 without any problem but obviously it is going outside the manufacturers suggested range. 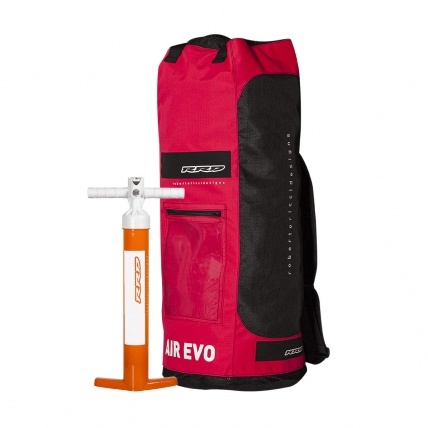 So in summary, if you are after a good board from a quality brand but want to save some money and weight you really can't go wrong with the Air EVO. It rides very similar to the more expensive AIRSup RRD board and is one of our favourite boards for beginners and intermediate riders. This is a little video we did one Sunday paddleboarding on the welsh coast in small surf this was using the 10ft 4in x 34in x 4 3/4in Air Evo Board. So What Size Air EVO should I get? - With the three sizes it's easy, the bigger the board the more float you have and also stability but have more to pump and carry around! Smaller riders under 70Kg would go for the 10ft 2in board. Average size adults around 70-90Kg would normally go for the 10ft 4in x 4.75in thick board. But could size down if they wanted more agility. Over 90Kg up to 120Kg would go for the larger 6in thick board to give better performance.